I love the lines and angles in this photograph, which are a common theme in my architectural photography. Vertical and diagonal lines coming perfectly to please the eye. 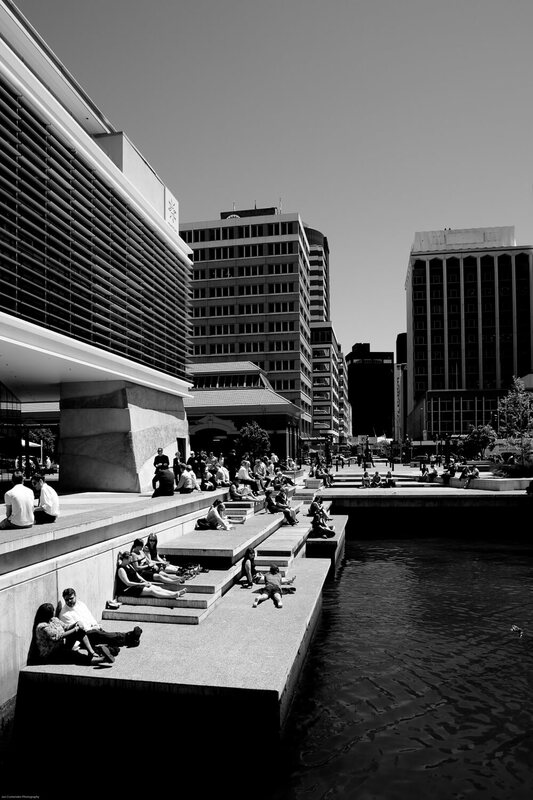 It’s a mono image with a beautiful interplay between the environment and the people. A great example of Architectural photography Staffordshire. 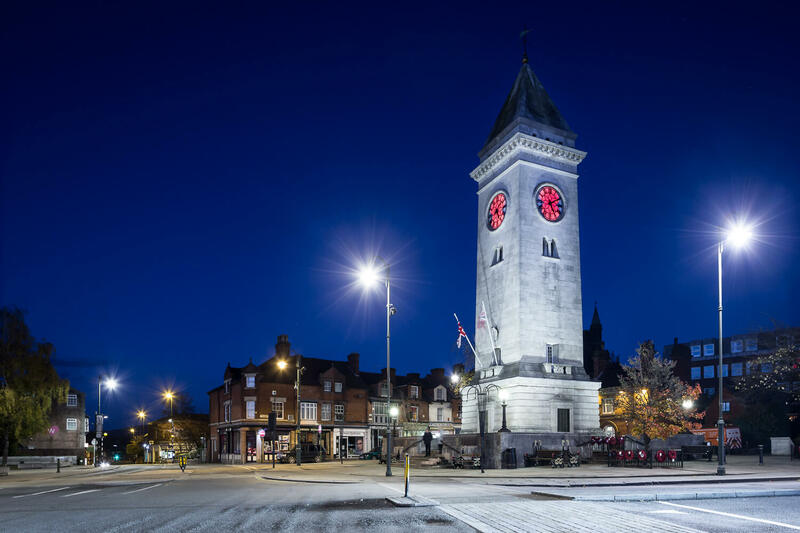 The purity of this image of the Nicholson War Memorial in Leek, Staffordshire is achieved through the use of specialist optics – a Canon TSE24mm tilt/shift lens. It helps the camera render the image as the human eye sees it. 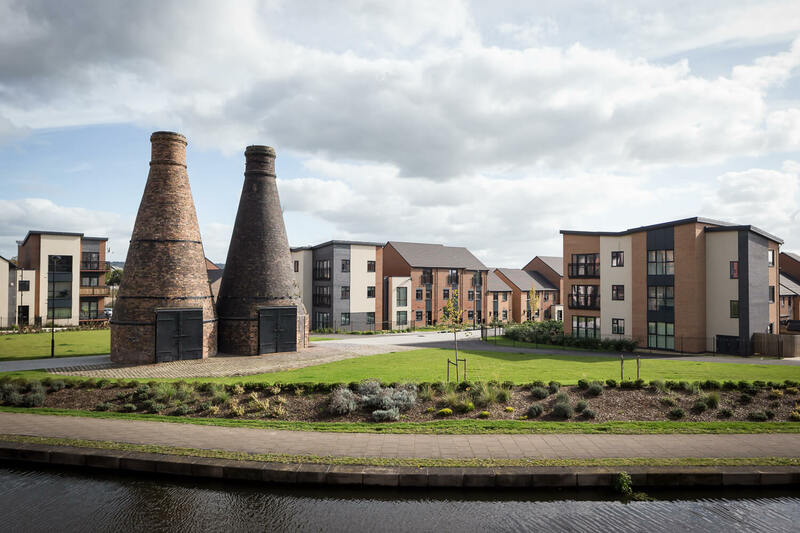 Architectural photography Staffordshire is epitomised in this image featuring a blend of modern housing and traditional Bottle Kilns which are a trademark of the Stoke on Trent area. This image was commissioned by a Leek based Architectural practice. 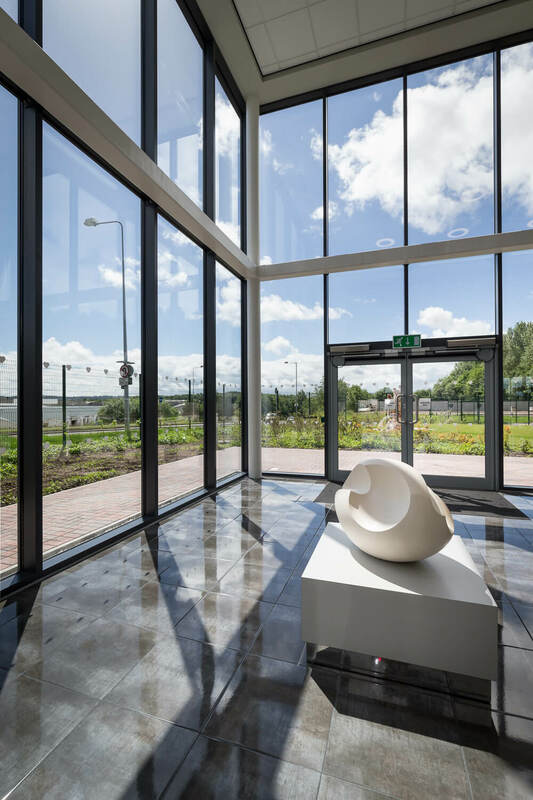 Once again, the common theme in this stunning example of interior Architectural Photography Staffordshire is the perfect vertical lines and their interplay with the diagonals of the window frames, emphasised by the beautiful blue sky and sunny conditions. It is from my shoot at Valentine Clays in Stoke On Trent. 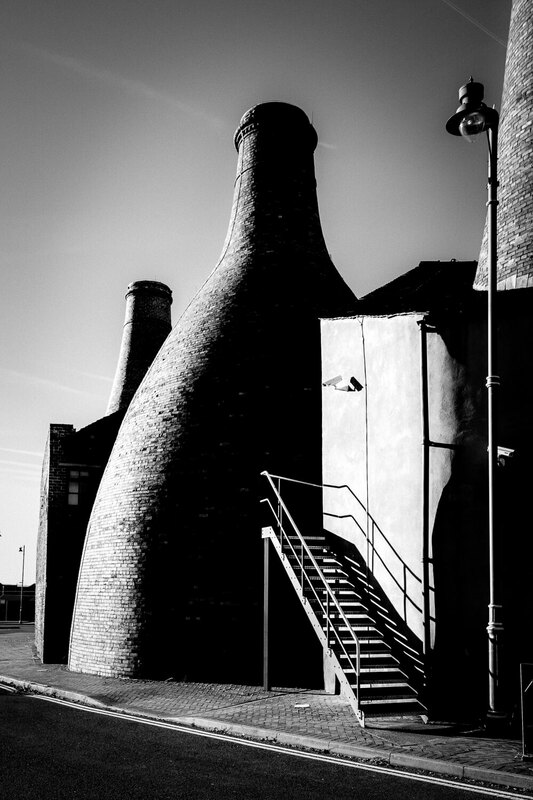 A low winter sun helps create beautiful shadows in this striking monochrome image which is a great example of Architectural Photography Staffordshire. This shot is of Big Bertha at the Gladstone Pottery Museum. 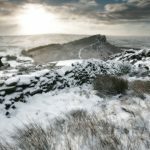 As well as Architectural Photography Staffordshire, my work takes me to many other locations. 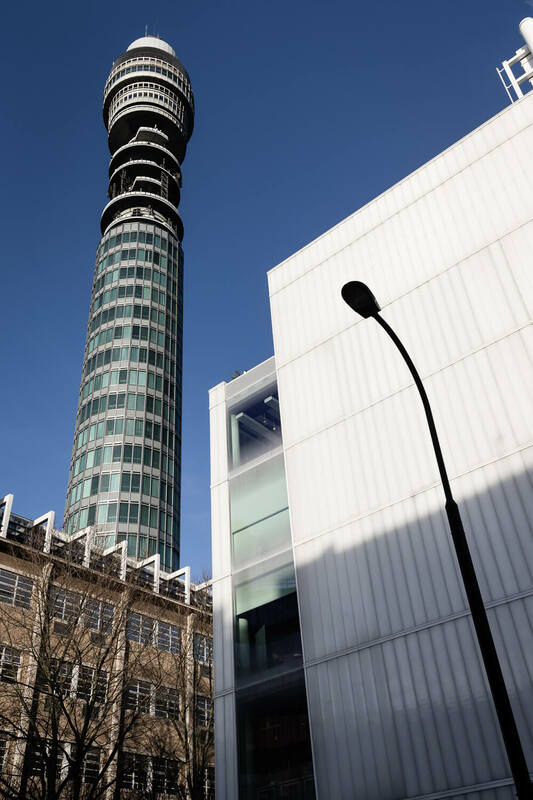 Earlier in the year, a Tech magazine used this shot if the BT tower in London as a cover. It uses converging verticals to great advantage. Another fine example of Architectural photography Staffordshire. 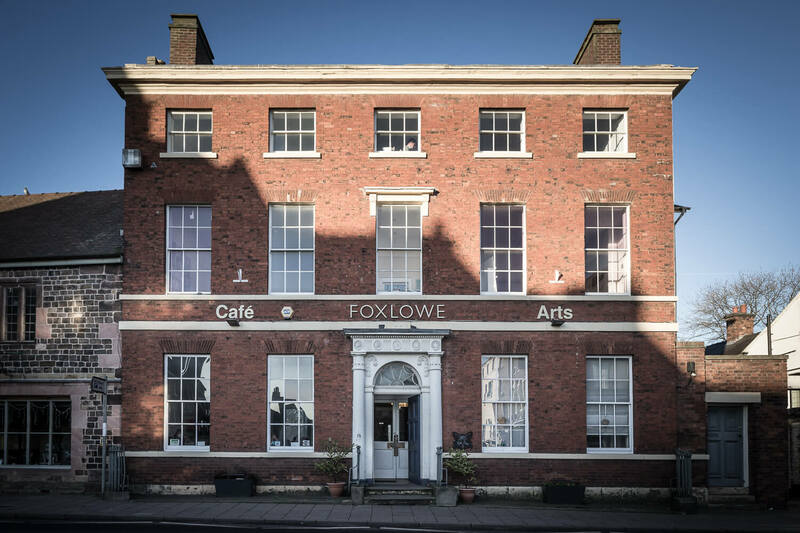 To get this shot of The Foxlowe in Leek, I took it using my Canon TSE24mm Tilt/shift lens. The vertical perspective is perfectly preserved which is very difficult without the correct skills, even with the best equipment. London and York Mills, Leek. 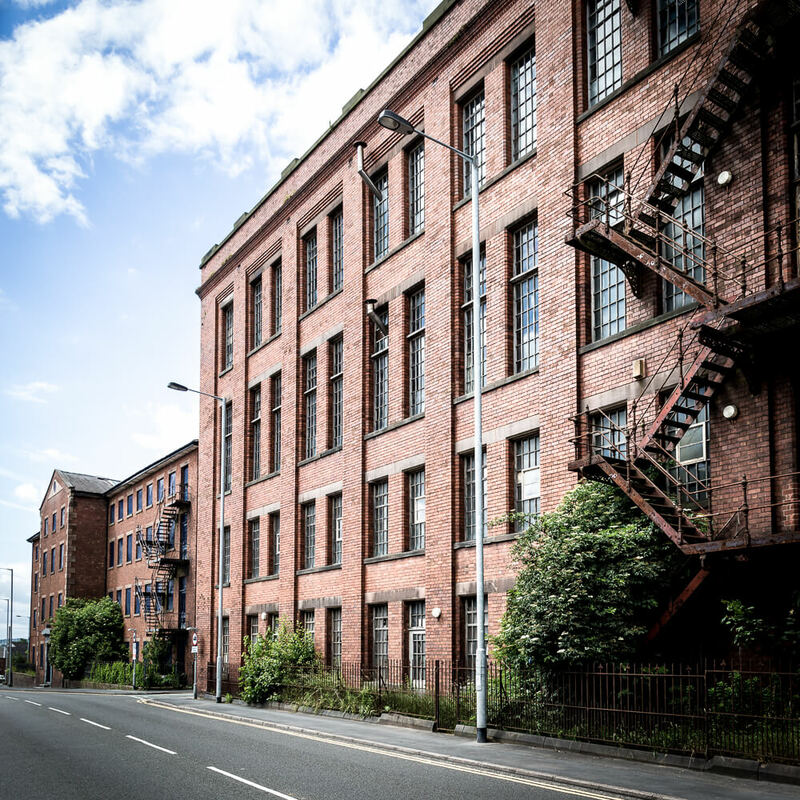 This is another example from Leek, of Architectural Photography Staffordshire. I cropped this image to a square to help balance the diagonals with the verticals which give the correct perspective, reflecting that of the human eye. The overgrown shrubbery and rusting fire escape suggest creeping urban decay. Staffordshire Architectural Photography rarely includes mountains and the sea. I took this shot in Wellington in New Zealand. Firstly, I lined up the composition to include the vertical lines of the glass, the sea, and the mountains. Then I waited for the moment when the human subject walked into shot. If you are an Architectural practice or Construction company in the Staffordshire area I can help you. If you want exceptional marketing images to help promote your business. Please give me a call on 07973321346 or use my contact form.